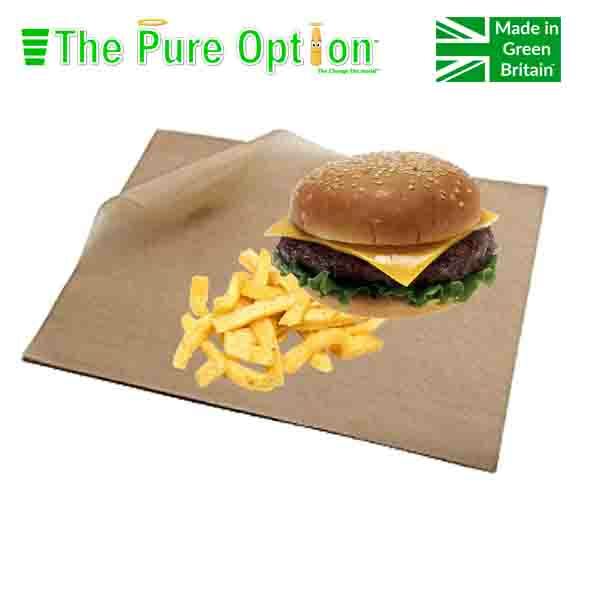 The Pure Options™ entire range of bags, wraps and sheets are made using paper / board from sustainable and certified wood stocks which makes them compostable, biodegradable and 80% less Co2 than standard equivalents. ​​​​​​A number of our bags are made from or lined with Natureflex™ which is a bio film made from renewable wood pulp that creates a barrier which is temperature resistant, extends the freshness of the product within and can be used with a heat sealer. Like all of our products they are certified to meet EN13432 and ASTM D6400 standards of compostability.